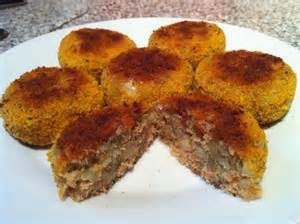 Fish cakes make a great starter if you are planning to cook a celebratory meal. Alternatively they make a tasty mid-week meal with mashed potatoes, peas and parsley sauce, which is how I like them. Or you could mix some mayo with lemon juice for a tangy dip and dish up the fish cakes with a green salad, whether as a starter or as a main course. 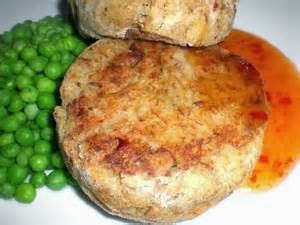 You don't have to use an expensive fish, like fresh salmon or cod, left-overs from another fish meal will do, or like me, try using tinned tuna as the basis for you fish cakes. Go on have a go! 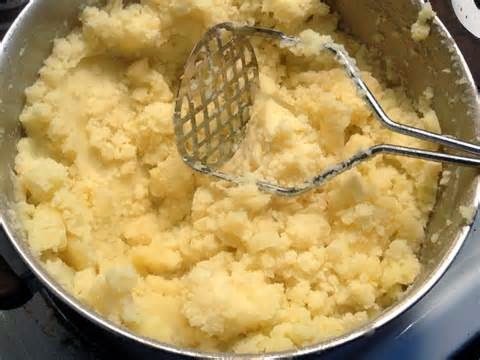 Peel and boil the potatoes and then leave to cool. Mix in the fish, parsley, a dash of salt and pepper and half the beaten egg. 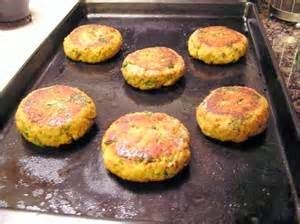 Divide the fish mix into 8 burgers. Dip each one into the rest of the beaten egg, then into the breadcrumbs until well covered. 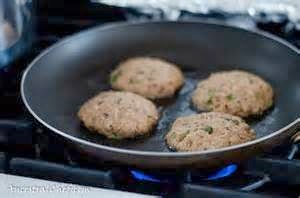 Heat the oil in a frying pan, add the fish cakes and fry for 2 to 3 minutes on each side, or until golden brown.